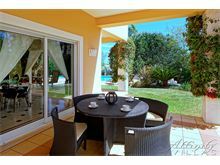 This stunning contemporary property is set in an exclusive development of four luxury properties close to Carvoeiro town centre. 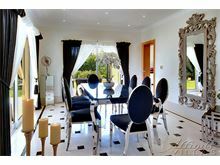 Situated in a cul-de-sac, off Rua do Paraiso, it is just 950m from the village centre yet is set in large private grounds offering the utmost in style and comfort. 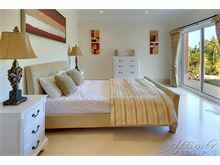 Villa Eva is a light and airy property with each of its four bedrooms benefiting from double doors out on to a terrace. The central lounge, with open plan dining area, provides a focal point for the villa and has doors that open out onto the outside terraces making the most of the landscaped grounds and overlooking the generous sized pool. Entrance hall with guest cloakroom. 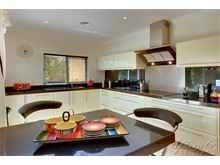 Door to open plan living dining with doors to terrace and access to kitchen. 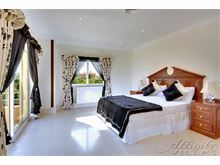 Corridor leads to a twin bedroom with with doors to terrace and en-suite bathroom and double bedroom with doors to terrace and en suite shower room. Stairs lead to first floor and two further double bedrooms, both with doors to a terrace and en suite bathrooms with separate walk in shower. Maid service 2 times per week. WiFi and air conditioning available at extra cost, if required. This was our second time staying at Villa Eva and absolutely love it as much as the first time we stayed. 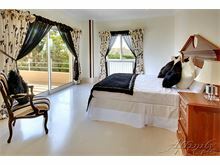 Beautiful, spacious and luxurious with amazing service both home and abroad, are all reasons we will be back again. 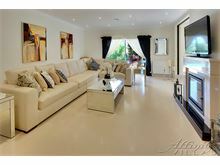 Wonderful spacious villa with great facilities and a large pool area. Everything in the villa was provided. A short 15 minute walk to town with lots of choice of bars/restaurants. There were six people in our party, we all were very impressed with the villa. 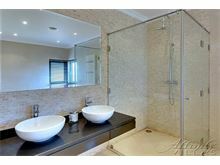 It was just as described on the Website very modern and clean, with lovely bedrooms and bathrooms. The house manager arrived shortly after us to make sure everything was o k. It was nice to have a mid week tidy up and fresh towels. 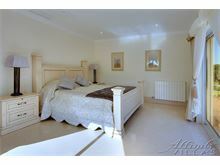 Overall a lovely holiday in a good location near some good restaurants and nice walk to town. Portuguese people very friendly. When we walked through the door of the villa it literally took our breath away. It was stunning and the photographs did not do it justice. The villa was spotless. The staff and local manager were fantastic and a big help to us when my wife was taken to hospital and sadly she missed all the holiday whilst in hospital but the rest of the family really enjoyed this special villa. 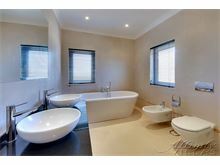 The best so far in over 25 years of villa holidays in Portugal. 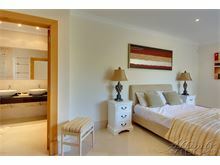 Villa Eva was beautiful and in a quiet location but within easy reach of beaches, restaurants, shops and town centre. Accommodation was very comfortable and spacious. Ample crockery etc. and all kitchen devices provided. 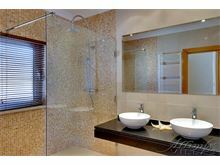 Beautiful Villa, great location, third time in Villa Eva and will be going back. 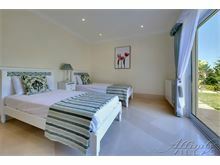 Villa Eva is a beautifully appointed villa within a reasonable walking distance of Carvoeiro village. The pool, garden and surroundings are lovely and there's a very good restaurant only a couple of hundred yards away. We had a wonderful week and I can't wait to get back again next year! 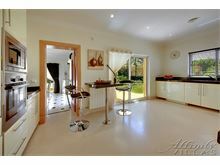 Beautiful villa in excellent location. Good restaurants within walking distance. House manager very helpful and friendly. 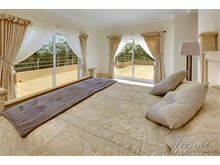 We stayed at Villa Eva in Carvoeiro, and on arrival we were delighted by the quality and spaciousness of the villa, which far exceeded our expectations - unusually, the photos undersell this particular Villa! This property is well located, nicely designed, very airy and ideal for a family holiday in a peaceful location - and only 10 mins walk from the centre of town. Highly recommended! 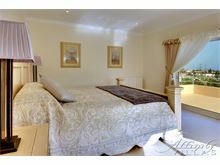 This is our first time staying at villa Eva was recommended by friends who had previously stayed there and we wasn't disappointed this villa is gorgeous has everything you will need and more, the surrounding area is beautiful and has plenty of shops restaurants etc short walk into the village. 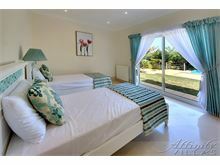 We will definitely be booking for 2 weeks next year, Affinity Villas are the best.